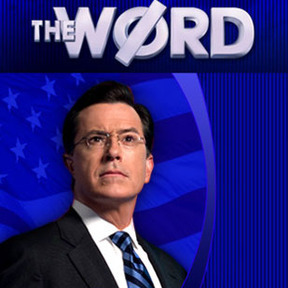 Monday night, Stephen Colbert satirized the desperation of death penalty advocates to keep executing people following the shortage of one of the drugs used for lethal injection. European companies have been pressured to stop supplying phenobarbital for executions in the US, which is causing some proponents of the death penalty to get creative. Colbert cites proposals to use untested drug cocktails and firing squads, and spins it out from there. Fear-mongering and misinformation have kept some people supporting the death penalty, but the long-term trend seems to be moving in the right direction, with support for the death penalty at the lowest it’s been in more than 40 years. The more people hear the facts, the better we’re positioned to get rid of this barbaric and inconsistently applied practice. I spent a lot of time on the phone last year talking to voters about a ballot initiative to replace the death penalty in California. I’m sure it sounds like a nightmare to some people to call strangers and talk to them about the death penalty, but I found it fascinating. Aside from the couple of disturbing calls with women (I was only calling women) who wanted to pull the switch themselves, people were very open to having a conversation. And I honestly talked with people who told me that the information I gave them made them start to rethink their support for the death penalty. Many of them were genuinely surprised when I told them it is less expensive to keep people in prison–it’s counterintuitive but makes sense when laid out for people. The high number of exonerations in recent years has permeated in a way that fear of executing an innocent person is a serious consideration for people. It might not be the high moral arguments that many of us want to motivate people to end the death penalty, but as always with organizing, we have to work with people where they are. It’s a significant task ahead of us to get the facts out to people, but I’m convinced that as we do, the trend will continue to move toward abolition.